One of the questions I was asked a lot last weekend was ‘What make are your buildings?’. 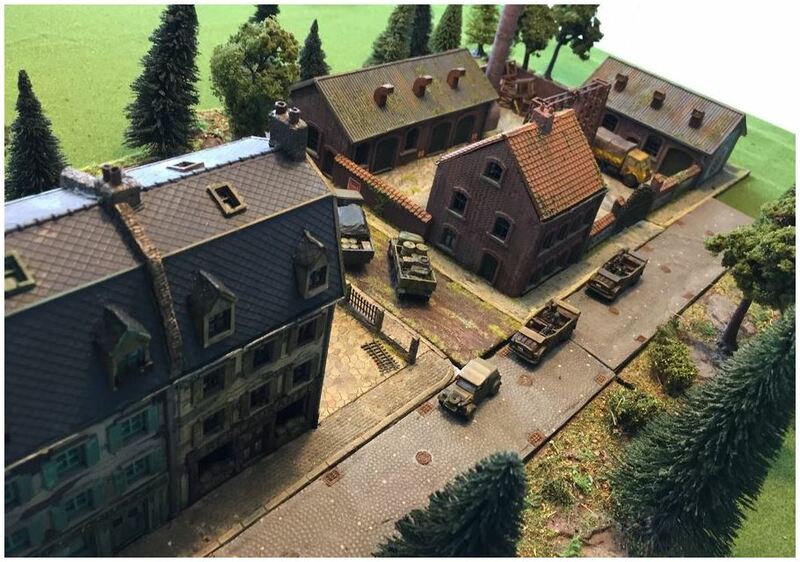 In the small town we had set up, the two buildings on the bottom right are both from Tiger Terrain, whilst everything else comes from German company Najelwitz Modellbau. I thought that I would check their website, and I was very pleased to discover that they have recently released some new 15mm buildings, the most eye-catching of which was a new Industrial Complex. The Complex is available in both 15mm and 1:72 scale, with the 15mm version costing 62.00 EUR and the 1:72 version 90.00 EUR. Shipping is 10 EUR to Europe , or 15 EUR to the Rest of the World. This has immediately been added to my shopping list. By the way, they have also released a number of 15mm German buildings which are suitable for use with Team Yankee.